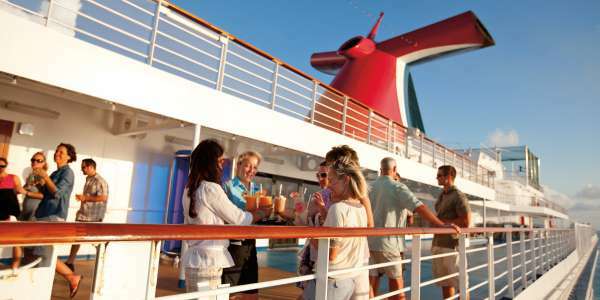 Carnival cruises are always a fun vacation and offer something for the whole family to do together. Kids enjoy onboard, interactive activities while the adults can indulge in adult-only oasis Serenity, plus Spa Carnival. From the tropical climates to the dynamic entertainment, Caribbean cruises are a perfect getaway for the life-of-the-party and thrill-seeker types. The Bahamas, Puerto Rico, Jamaica, and St. Thomas are just a few of the islands that stretch from the Gulf of Mexico to the southeast tip of North America. Browse the Dunhill Travel Deals cruise list for the best Caribbean cruises to these tourist hotspots. Cruise lines such as Royal Caribbean, Norwegian Cruise Lines, Princess Cruises, Celebrity Cruises, and Carnival Cruise Line offer exceptional packages to the Caribbean from various starting points in the U.S. Explore the east Caribbean with a stop in Punta Cana for rare wildlife sightings, and visit Turks and Caicos to gaze at the waves as they crash along the rocky coastline. Stop at famous Caribbean landmarks like El Yunque in Puerto Rico, Harrison’s Cave in Barbados, Atlantis Resort in Nassau, and Dunn’s River Falls in Jamaica. Or, pick a liner that docks in Bermuda, where you can browse museums such as the Royal Naval Dockyard and sail the clear waters of Hamilton Sound. Explore our Western Caribbean cruise deals for even more exciting experiences. Choose cruises that port in Cozumel or Honduras — both known for their awe-inspiring dive sights and excursions. A stop in the Cayman Islands affords duty-free shopping on unique jewelry, art, local crafts, and coin collections. Choose cruises with stops in Ocho Rios to browse the secluded sites and enjoy everything from beach-side horseback riding to snorkeling in the ocean. Still not satisfied? Explore our options for cruises to Mexico. These getaways grace the shores of Baja California, Puerto Vallarta, Cabo San Lucas, and beyond — some even feature ports in Long Beach and Santa Catalina, California. Planning a last-minute cruise? Find Caribbean cruises with all-inclusive activities such as watersports and eco-adventures like hiking and zip lining. These budget-sensitive trips feature all the lavish dining, entertainment, and excursions for a pleasant weeklong escape from your daily routine. Cruising the Caribbean is a great way to unwind, even if all you want to do is find a deck chair and sip on tropical drinks by the pool. Choose your dream destination and a glamorous way to get there with our huge inventory departing ports across America!